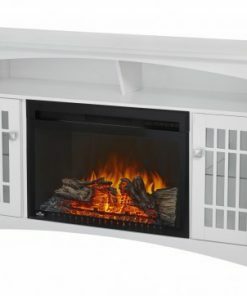 View cart “Dimplex Haley Media Console in White with BLF50 Firebox” has been added to your cart. Overall Size: 76″ wide x 17.75″ deep x 31.125″ high. 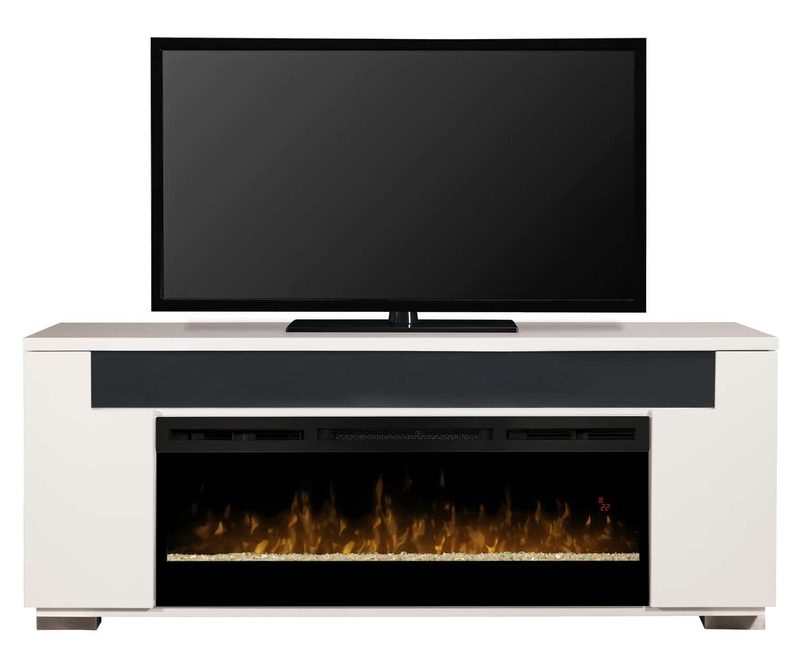 The clean, contemporary lines of the Dimplex Haley Media Console with BLF5051 linear fireplace insert are elevated by a dash of industrial design with its robust metal feet. 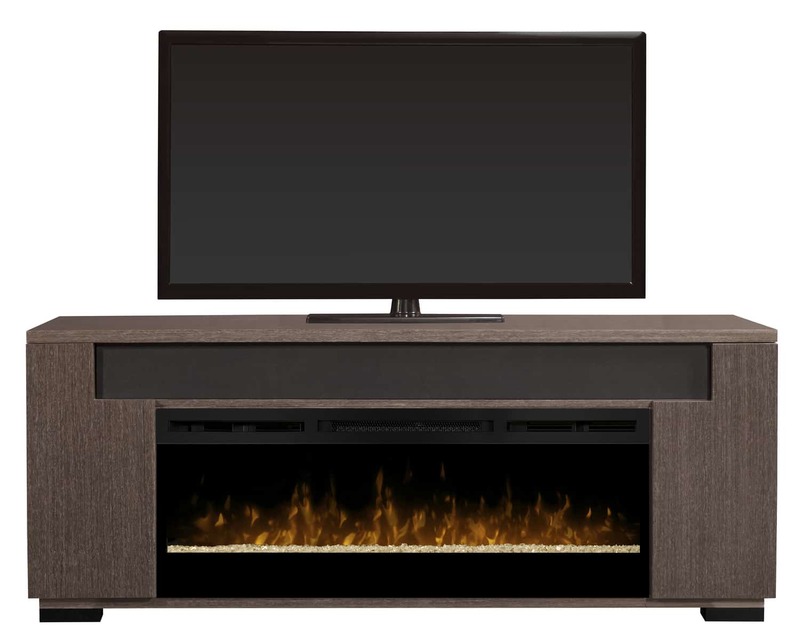 Integrated speaker compartment and a stunning linear fireplace make the Dimplex Haley media console a marvel of technology. 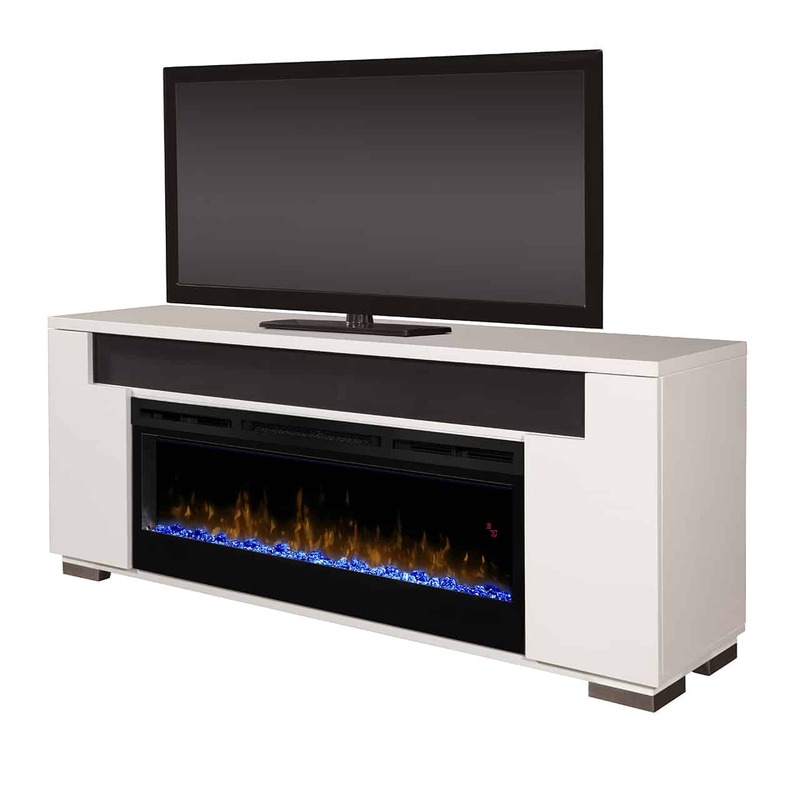 Presented in a White finish, the Dimplex Haley Media Console is a picture-perfect modern complement to home electronics. The Dimplex Prism Flame Effect™ – A full spectrum of RGB colours. Economical – Economical to operate costing only pennies per hour. 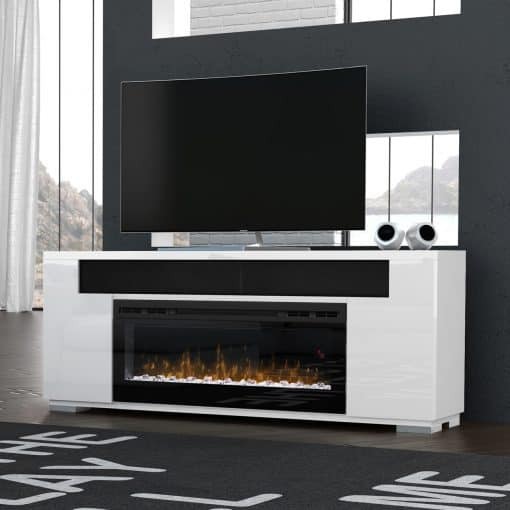 Samsung Soundbar – Features 2.2 channel 3D sound, dual woofers for rich bass, Bluetooth wireless connectivity, and USB port. 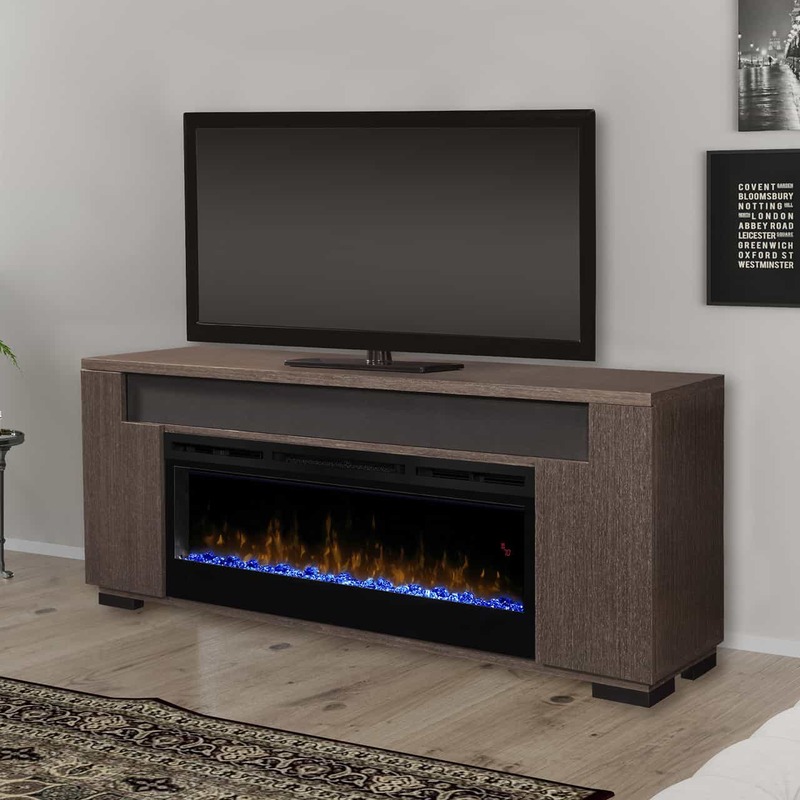 Cord Management – Includes an integrated cord management system that allows you to organize and conceal all the electrical cords for a clean, cable-free look. Cutaway door design integrates speaker bar and storage space. 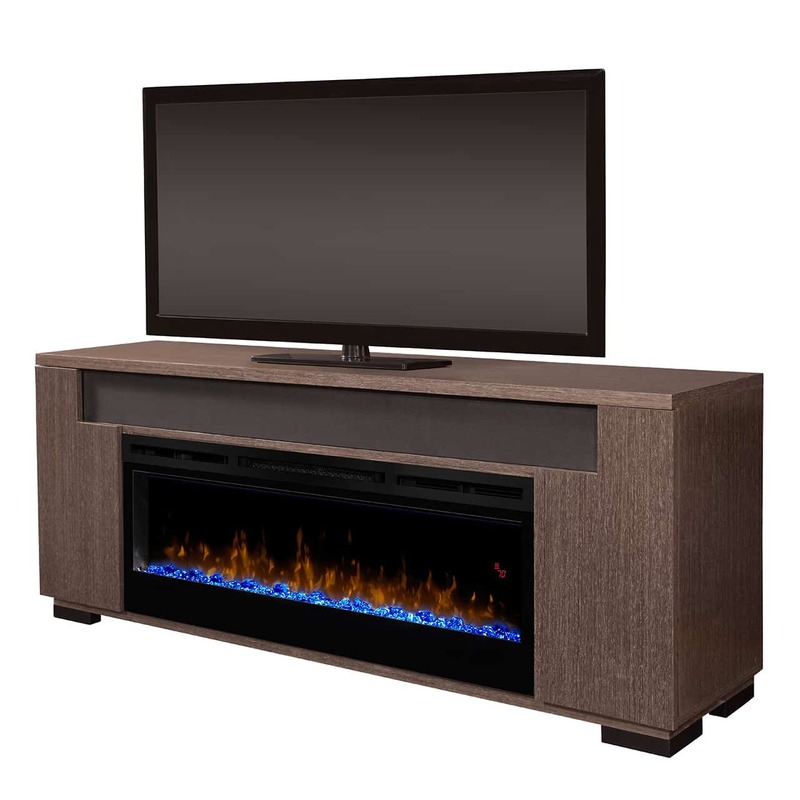 Storage – Includes ample storage space for electronics and media components.